Jemez Homestead is in the Flamingo Heights section of Yucca Valley off Old Woman Springs Road as you drive toward La Copine Restaurant , The Integratron, and Landers. We are STUDIO NO 47 on the Highway 62 ART TOUR map. Directions to Jemez Homestead / Studio no 39 : From Hwy 62, turn north on to Hwy 247/Old Woman Springs Road. Proceed for 8.5 miles and turn LEFT on Chaparral Road (rocky dirt road, ok for ordinary cars) go to the top of the hill. Turn LEFT on Inca Trail, go to next top of hill. Turn RIGHT after the white picket fence, it will say private drive, road etc but it is the driveway. It is between the two properties, go till it dead ends at house. BEAUTIFUL View of new Sand to Snow National Monument. Directions: From Hero Market, go South on Hwy 247/Old Woman Springs Road, Go past the Lefevre’s Towing on corner of Luna Vista Road, past Wood Road, LEFT on next Chaparral Road (no street sign this direction ), Chaparral is a rocky dirt road, go to the top of the hill. Turn LEFT on Inca Trail. go to next top of hill. Turn RIGHT after the white picket fence, it will say private drive, road etc but it is the driveway. It is between the two properties, go till it dead ends at house. BEAUTIFUL View of new Sand to Snow National Monument. has a collection of the 3’ to 4’ tall ceramic sculptures by the deceased artist interspersed with native high desert plants and other artist’s work on a spiral path inspired by a cave painting in the Antelope Valley Indian Museum. Come stroll through the art garden, play a game of Bocce Ball, have a cool drink. 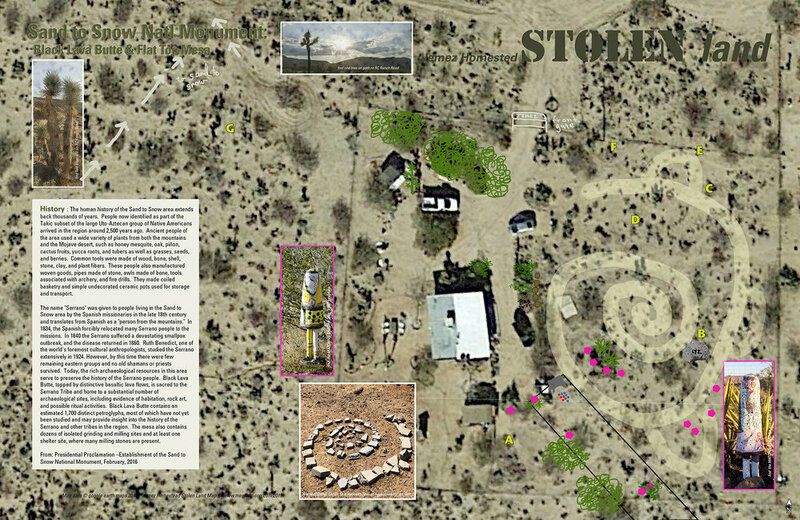 JEMEZ HOMESTEAD: STOLEN LAND map is a tool to investigate the sculpture garden inside the gate and venture out of the gate following the path to SAND TO SNOW NATIL MONUMENT’s Flat Top & Black Lava Butte segment. “in response to [Draußen. Outside. 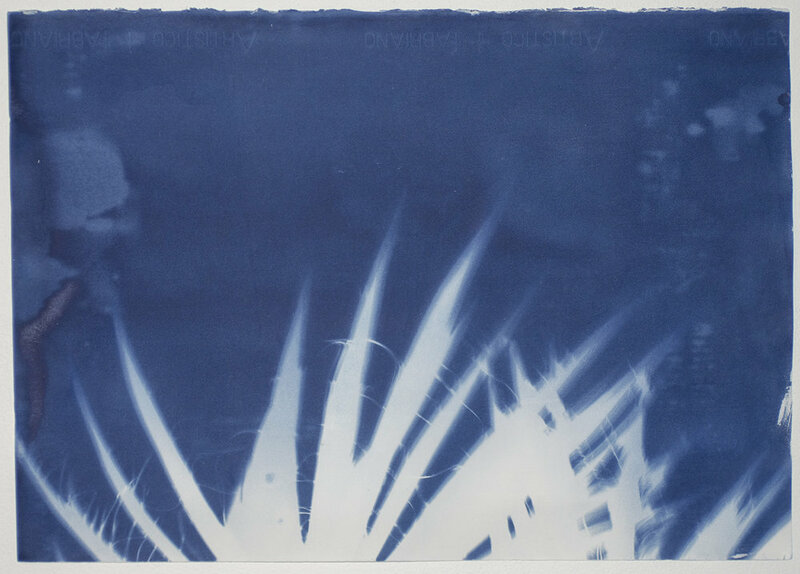 Dozens of my Fingerprints washed away] by Delia Jürgens.